Can BMW X3 outperform Audi Q5 and Volvo XC60? Every car lover is on his toes when it comes to launches by BMW, Audi, Ferrari and the likes. And so, the much-awaited X3 is out and about to turn heads and sway hearts. The newest addition to the BMW clan is X3, and it was eagerly-awaited by ever fanatic down to the time it was ready to rev. However, many feel that the excitement might have been for nothing because the BMW X3 fails to perform as well as expected. It has features and looks that make it a dream-to-drive and it is an absolute eye candy. It has the signature traits that BMW is known and adored for. And that is why buyers flock to it so relentlessly. While Audi Q5 seems to be a solid competition in terms of performance, the Volvo XC60 is too stiff to beat with the average performance of BMW X3. In some ways, the X3 also fails to exhilarate fanatics with its looks this time. With incredible speed , comes incredible responsibility. All the cars on this list offer speed to those who love the thrill, but it is also important to have the knowledge of how this speed has to be controlled. Features common to the BMW X3, Audi Q5 and Volvo XC60 are traction control, anti-lock brakes, hill assist and airbags on all sides and corners. However, the BMW X3 has an easy edge here, since it uses radar-based technologies which provide assistance in evasive braking or steering movements. This assists in autonomously maintaining the lane, and adapting cruise control as per the behavior of the vehicles around your car. To make the best of your high-speed car, do get car insurance so you can drive smoothly and without any worries, no matter where you are. Use a Car insurance comparison portal whether you are in the US or India- to get your beloved speedster covered in a smart way and ensure safety and comfort all at once. And, when it comes to safety, the BMW X3 clearly trumps over the others. The BMW X3 looks much like the other models by the company since BMW is quite traditional in their design and like to play around the template. While this seems fair for its taste, it can seem boring after a point of time, like it is starting to do now. The exterior of the car, while sauve, is in no way so rousing that it would leave a strong impression. However, it is stronger-looking due to its enlarged grille. The exterior is leaner and more chiseled, giving it a sportier and modelled look with the elegantly placed lights. On the other hand, the Volvo XC60 is much longer and wider. It has a simple and classy look with sleek lines that give it an exclusive and well-done look. 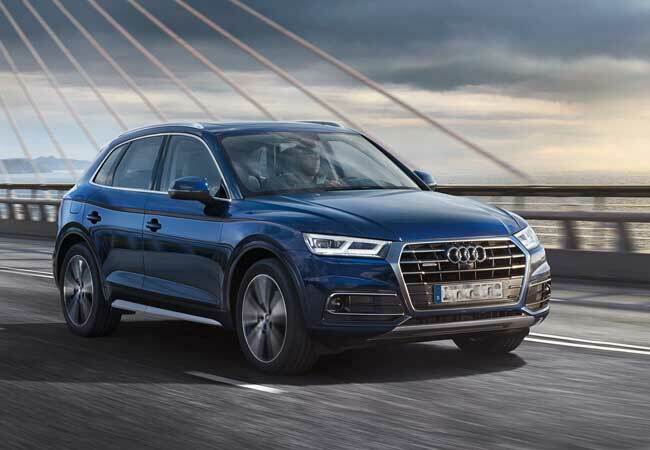 The Audi Q5 looks sharp and strong as well, with more SUV-like features. This, for many, gives it the winning-edge among the three. The X3 performs well on this checklist with its sleek interior designing that is free of clutters and overloads of switches, buttons, and gears. The controls are strategically tilted towards the driver and fall easily into the hands. With the height of the X3, this had seemed difficult, but the car brings together design and functionality and while ensuring a proper view of the road ahead. The car also has controls that are extremely driver-friendly. Leather upholstery, soft-touch plastics, and grain wood interiors offer unparalleled luxury and comfort. Compared to the X3’s cabin, the Audi Q5 feels comfortable but not as smooth and seamless in terms of interiors. While the cabin is large and spacious, it is not as natural an environment as that of the X3. The Volvo XC60, however, does not have a cabin that compares to the other two. It is sleek, indeed, but does not have the kind of space and freedom that the other two allow. However, it is in no way uncomfortable, and its dark upholstery give it extremely smooth and premium finish. However, with inbuilt massaging seats, the XC60 has to have the best seats. The others do not have any discomfort to display, but also do not have the kind of refinement and attention to the detail as the Volvo XC60 does. 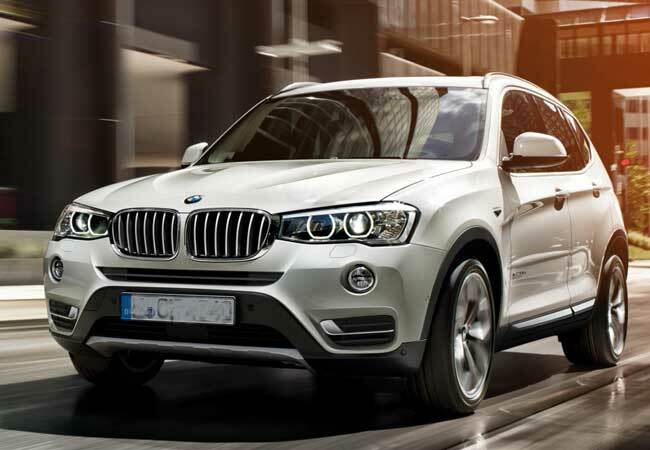 The BMW X3 boasts of light suspension components comprising of coil springs and adaptive dampers. The result is a much smoother drive, even on turns and throughout corners. The driving and riding experience is manipulated by the communicative BMW steering system which is known to be top-notch. The X3 remains suave through the ups and downs of journeys and maintains a cool and composed mannerism throughout. The vehicle further uses the Sports Mode switch to make for an extremely smooth and sporty ride, while the Comfort Mode ensures luxurious passage over sharp and bumpy roads. The Audi Q5 is indeed a charm to drive, smooth and running perfectly. But, one X3 drive leaves you thrilled to the point that nothing else will ever compare. While the Q5 is in no way rough, it just does not have the flair which comes so inherently to the X3. The Volvo XC60 shows minor defects in this department, only because it is in the league where the slightest difference makes a huge difference. It does not perform as smoothly as the other two in the sense that a ride difference can be felt on tight bends. This, perhaps, is a result of Volvo’s preference for safety over performance, which makes it a matter of driver’s discretion. The trusty B47 four-cylinder diesel engine powers the BMW X3, which is extremely refined and very close to 4000 rpm, moving with no sound. The torque/ pick-up on the machine is good, making it easy to speed uphill or overtake with panache. However, it would not take an expert to guess that the speed and sustainability balance requires a stronger, more powerful engine for the car. The Audi Q5 has the top-most speed in the trio when it comes to gear acceleration. Further, the many driving modes make it easy to switch and perfectly match the terrain with the drive. 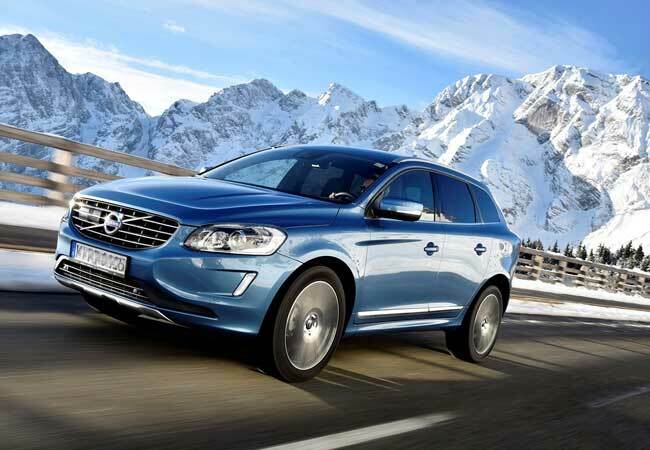 While the BMW X3 and Audi Q5 are aggressive in the drive-terrain department, the Volvo XC60 has a D5 engine which is very powerful and, at the same time, much more responsive. Comparing the BMW X3, Audi Q5 and Volvo XC60, makes it exceedingly clear that the comparison of these luxury crossovers is difficult, not because they are not different but because they are extremely different. The differences in these amazing super-cars are evident and obvious if you get to comparing them closely, but any similarities and differences make for a unique experience. With varying features and competitive performance, it narrows down the competition to the point where the only separation is subjectivity. With competitive pricing and excellent features, the abilities of all three crossovers leave hearts beating fast and breathes baited. To know which is the best of these, one has to know which is the best for them. This will depend on their preferences. While the looks are high on the Audi Q5, the performance of BMW X3 is superb. At the same time, the Volvo XC60 offers safety and control to those who desire it the most. The best is impossibly hard to point out, but the effect of the comparison is a clearer understanding of how these super-cars work and run, and which is going to blow your mind away.